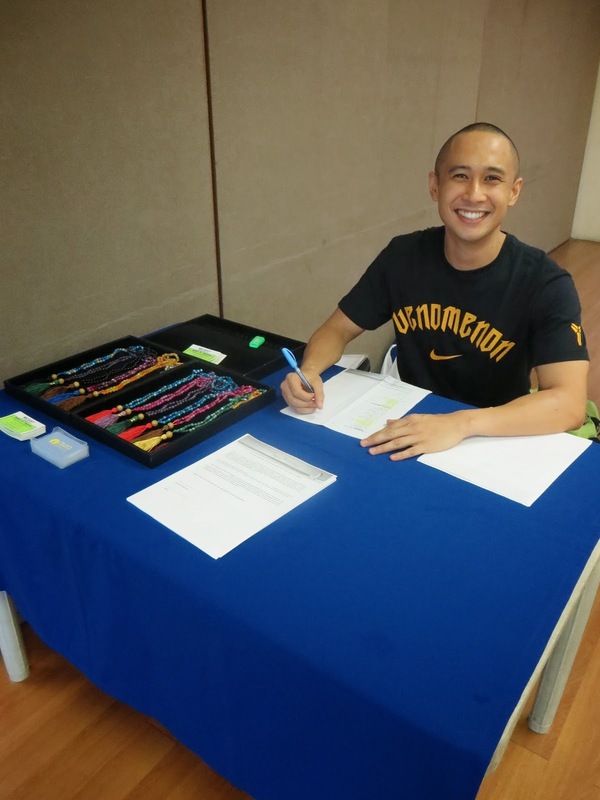 All smiles while doing boyfriend duties (aka manning the registration booth) is Pinggoy Tumacder. His girlfriend Garet Bacani is the organizer of the event. If you're wondering what those colorful things beside Pinggoy are, they are mala beads made by Garet's sister, Claud Bacani. To see more designs, follow @mossyjewelry on Instagram. When everyone arrived, we started a Power Yoga Session led by Mae Evangelista. This was my first time and it was quite challenging since I wasn't familiar with yoga poses, not even the simple Downward Dog. I just did my best to listen to Mae's instructions as she guided us from one pose to the next. After our Power Yoga, Mae continued on to the Balancing and Inversions Workshop. The first pose she made us try is the Crow. You may be wondering why there are pillows in front of our yoga mats. Mae explained that sometimes people don't get to perfect a pose because of the fear of falling flat on their faces while trying. Next, Mae made us try to do the Firefly. The pose was hard but Dian Yu was able to do it. I never thought I'll be able to do it but lo and behold, I got to lift my legs! Although I think I look more like a frog than a firefly! After everyone was done trying the Firefly, Mae showed us other poses we can do. Wow! Mae said we were going to do inversions next. She explained that inversions refer to any pose that places our heart above our head. Mae then asked Mary, a fellow yoga teacher, to demonstrate a handstand. Mae then asked us to partner with the person next to us to guide us into doing a headstand. When I looked to my left, everyone was doing it already. Left and right, people were doing headstands by themselves. Pressure, pressure! Luckily, my seatmate was Mary and I told her that this was just my second yoga mat session, the first was during Mind Body Soul's yoga retreat in Batangas. So she guided me step by step into doing a headstand. But for some reason, I couldn't get the grip which help me balance and hold my headstand for a while like last time. I was telling May just that in this photo. The next activity was a Giving Light and Inspiring Others Through the Practice of Yoga Lecture by Neil Salang. It was interesting how he talked about the connection of the soul, silence, meditation, and God. Gosh, I can never stay silent and still for long. I think I need to practice. 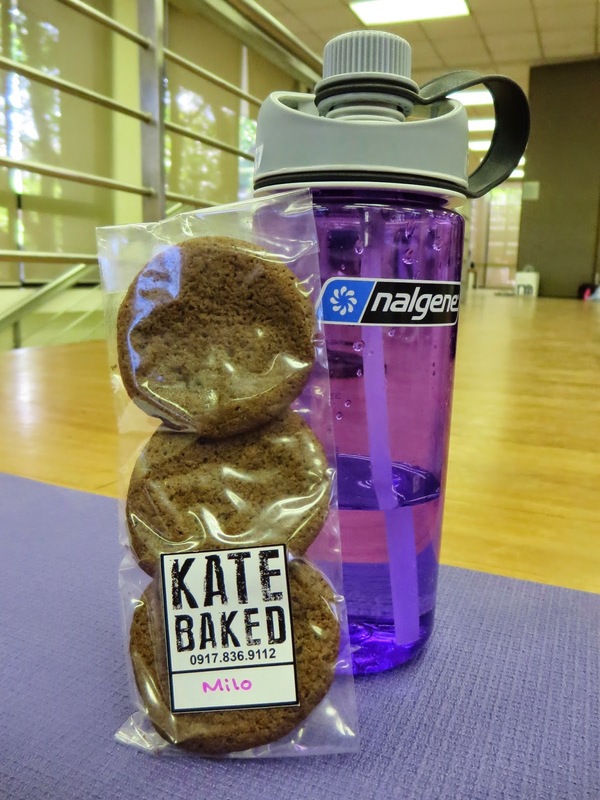 After the lecture, Garet gave everyone snacks from Kate Baked Cookies. To see more cookie variants, check out @katebakedcookies on Instagram. 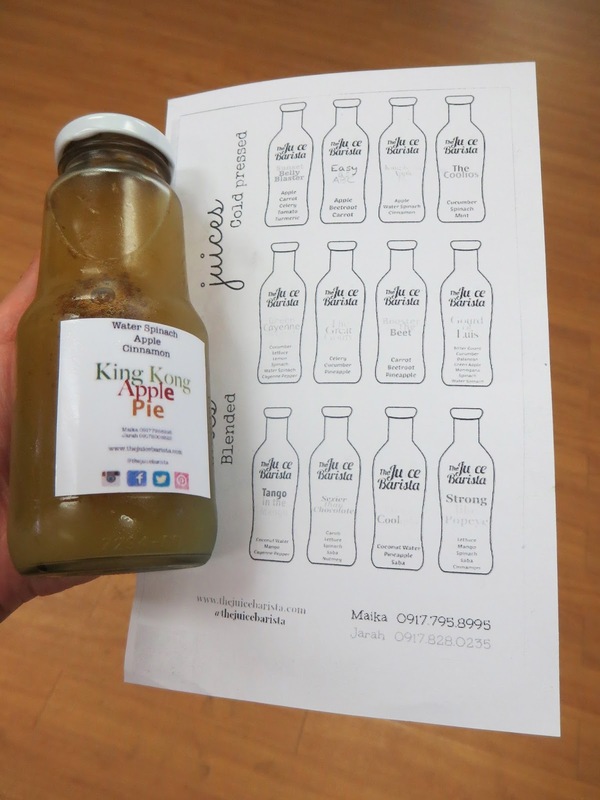 Next up was the Juice Detox Cleanse Workshop care of Maika Perez of The Juice Barista. Maika handed out juices for everyone to try. It was interesting to learn about the types of juicers, the difference between juices and smoothies, as well as the best combination of ingredients for our juices and smoothies. For more details on the juices she offers, follow @thejuicebarista on Instagram. Last on the agenda was The Beach Body Project Lecture by Garet Bacani. It was nice how she made us fill up some forms earlier that day so she could discuss our body goals specifically. After giving us diet tips (which I am not sharing since it's an MBS secret so attend the next event! ), Garet and Mary demonstrated some simple exercises we can do even at home. After the event, Garet raffled off Clinique products and announced that Aura Athletica was giving a special discount that day. It was nice meeting new friends at this event and also catching up with old ones. This is my friend since grade school and former volleyball teammate, Ochie Alfonso. I haven't seen her in a while so it was nice running into her here. Congratulations for another successful Mind Body Soul event, Garet. Can't wait until the next event! Namaste.